This year’s winning farms are diverse in size and type, ranging from a small biodynamic farm to an 800 hectare conventional crop and livestock farm. Each farmer has a unique story to tell about the methods they’ve successfully tried and implemented to reduce nutrient runoff to the Baltic Sea. 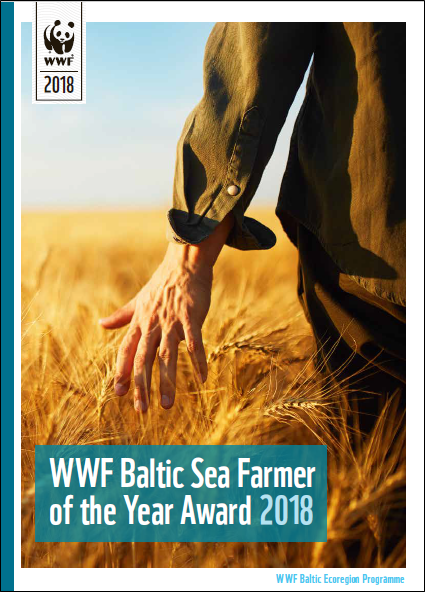 The WWF Baltic Sea Farmer of the Year Award was launched in 2009 to highlight best practices and recognize farmers who are leading the way to reduce nutrient runoff on their farms. So far, around 50 farmers around the Baltic Sea have been awarded for their innovative measures. The countries participating in the award are Denmark, Estonia, Finland, Germany, Latvia, Lithuania, Poland, Russia and Sweden. This year, WWF is pleased to additionally welcome the participation of Belarus and Ukraine, which also have territories within the Baltic Sea catchment. This year’s winning farms are diverse in size and type, ranging from a small biodynamic farm to an 800 hectare conventional crop and livestock farm. Each farmer has a unique story to tell about the methods they’ve successfully tried and implemented to reduce nutrient runoff to the Baltic Sea. Read more about the farms in our Baltic Sea Farmer of the year 2018 brochure!